While I was away Carlton released their new "Keg Can". For years Carlton's products have been considerably worse in either bottle or can form than on tap. With the "Keg Can" they claim to have solved this problem. Only time will tell if this is true. There's been a big advertising campaign for it as well, like everything Carlton, with tag lines such as "Kegs you can actually pick up" and "Honey, I've shrunk the keg". Being a regular Carlton Draught imbiber, I was not expecting big things from the pour of either of these vessels, and I think it's fair to say I was not wrong. Both beers pour a deep golden colour with tiny carbonation bubbles rising to a white head. If I had to separate them, the can has a slightly bigger head. The old Carlton ad stated that Carlton was "Made from Beer", and that is exactly what Carlton smells like to Victorians. Carlton Draught is beer! To the more initiated, there's some grain on the nose with a little yeast. It's a very inoffensive smelling macro lager. Impossible to split the two. After struggling to split the bottle or the can on either appearance or aroma, I was pleasantly surprised to find that there was a difference when it came to taste. Unsurprisingly the bottle still tasted very average, it just tastes watered down. The 'Keg Can' on the otherhand tasted like fresh Carlton on tap! It's bitter, has that slightly over carbonated mouthfeel that tap Carlton always has, it's perfect! 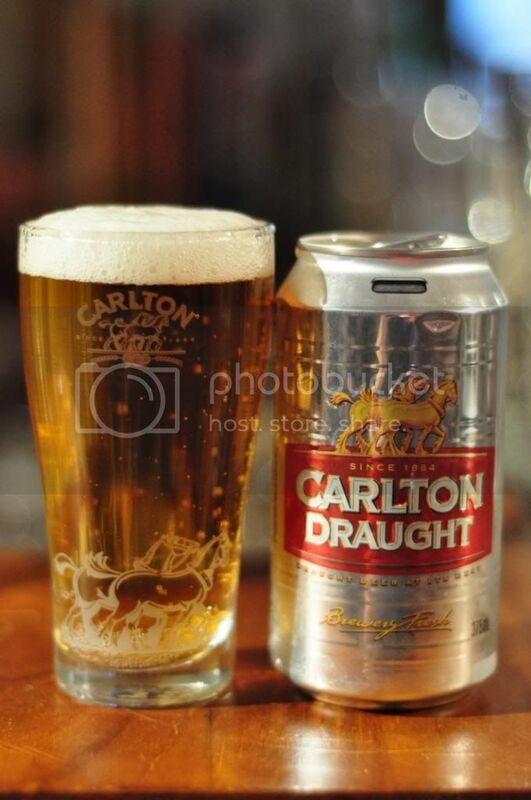 Carlton Draught's 'Keg Can' has acheived it's aim of bringing the pub taste of Carlton Draught into the living room, even if it's in direct opposition of their stance on the Tap King... Although that's a story for another day. I will be buying a couple more of these, I was actually really impressed. 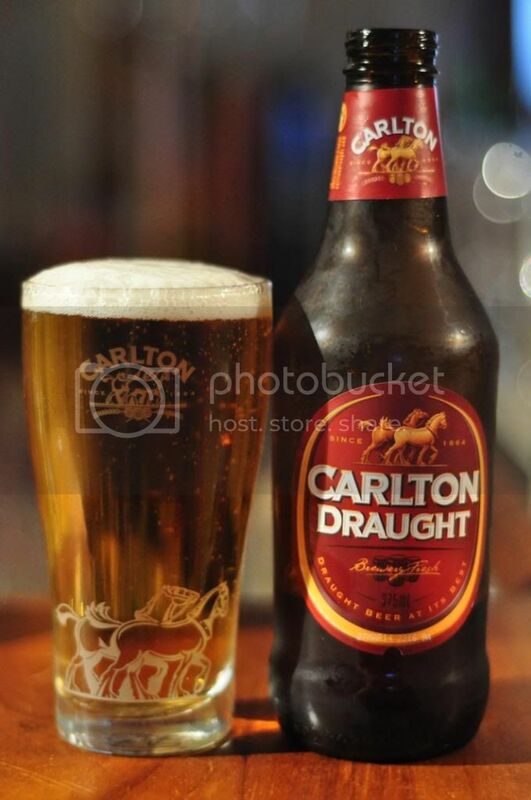 Still don't buy bottles of Carlton Draught, they're still crap! I'll leave you with this, the greatest beer ad ever made! Enjoy!